Heartland Bank (formerly Heartland Building Society) is a New Zealand-based bank that was created in 2011 through the merger of four financial organisations to obtain national coverage and obtained its banking licence in 2012. It provides retail banking services, lending, livestock and seasonal financing, home and vehicle loans and insurance services, and has a strong focus on the rural farming sector. Heartland Building Society became a registered bank on 17 December 2012 but its component parts had a long history in New Zealand with roots stretching back to 1875. In 1875, the Ashburton Permanent Building & Investment Society was established, which subsequently merged with SMC Building Society and Loan & Building Society. Together they became CBS Canterbury. Separately Southern Cross Building Society opened in Auckland in 1923, it offered a similar range of financial services to its customers throughout the North Island. In 1952, MARAC finance was established lending money to business to purchase commercial vehicles as the North Shore Rental Van Company. Over the next 55 years it grew to provide financing, lending and insurance services to businesses and individuals. Leading stock and station companies, Williams & Kettle, Wrightson, Pyne Gould Guinness, and Reid Farmers which became PGG Wrightson established PGG Wrightson Finance (PWF) in the 1940s. PWF provided financial services to its farming and rural clients. In late 2010 a plan was hatched to bring together these four separate financial institutions to create a financial company with national coverage across New Zealand that had enough assets to become a bank. On 5 January 2011, CBS Canterbury, Southern Cross Building Society and MARAC Finance Limited combined to become one organisation and on 31 August 2011, the Group acquired PGG Wrightson Finance. Heartland was created from the merger of CBS Canterbury (Canterbury Building Society), Southern Cross, MARAC and PGG Wrightson Finance. The rationale for the merger was to create financial institution that had national coverage and enough assets and resources to get a full banking licence. On 12 December 2012, the Reserve Bank of New Zealand announced that Heartland Building Society has been registered as a bank and the organisation changed its name to Heartland Bank. In May 2013 ratings agency, Standard & Poor's placed Heartland Bank, together with seven other small New Zealand financial institutions on a credit rating downgrade watch, citing potential risks from overexposure to New Zealand's highly inflated housing market. In October 2014, Heartland's rating was raised to BBB (outlook stable) in October 2014. In October 2015, Fitch, another credit ratings agency confirmed Heartland with a rating of BBB (Outlook stable), noting "core asset quality to remain sound, benefiting from continued improvement in underwriting standards and good economic conditions". Heartland Bank's Head Office is located in the Auckland suburb of Newmarket and the bank has over 15 branches located throughout New Zealand. In February 2014, Heartland has moved into the Reverse Mortgage (or Home Equity Release) market, offering home owners (usually retired people) the ability to borrow against the equity in their home without interest payments charged up front. In September 2014, it moved into the peer-to-peer lending sector through its 10% shareholding in Harmoney Limited. ↑ "Our People". Retrieved 28 September 2012. 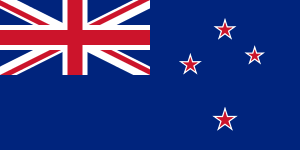 ↑ "Reserve Bank confirms banking registration for building society Heartland NZ". interest.co.nz. 17 December 2012. ↑ "Court approves 'heartland bank' merger". stuff.co.nz. 16 December 2010. ↑ "Heartland yet to consider finance arm". 24 September 2012. ↑ "Heartland NZ sees funding cost premium halve". interest.co.nz. 29 August 2012. ↑ "Canterbury Building Society to merge with Loan and Building". The New Zealand Herald. 11 October 2007. ↑ "Heartland bank gets final thumbs up from depositors". scoop. 10 December 2010. ↑ "Small banks put on notice". Otago Daily Times. 17 May 2013. ↑ "Heartland's stronger asset quality, earnings earn Fitch upgrade". NZ Herald. 29 October 2014. ↑ "Fitch Affirms Credit Rating for Heartland Bank" (PDF) (Press release). Heartland Bank. 16 October 2015. ↑ Meadows, Richard. "Heartland buys reverse mortgage firm". Fairfax Media. ↑ Adams, Christopher (9 September 2014). "Heartland buys into HarMoney". NZ Herald.